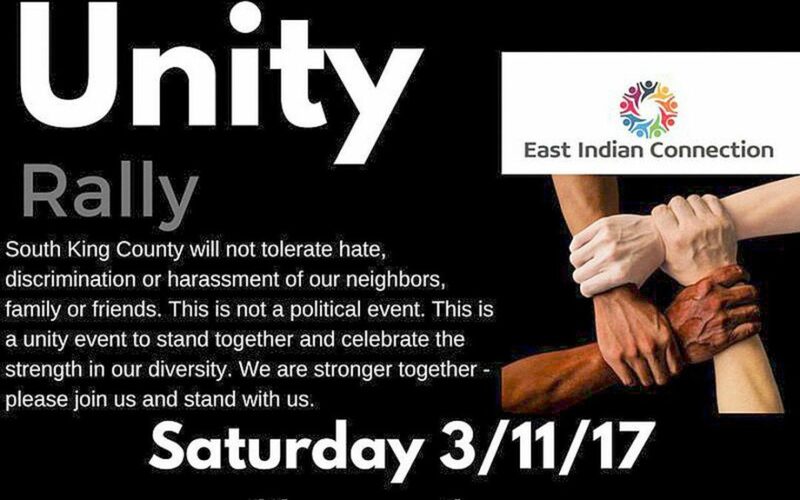 South King County leaders will hold a Community Unity Rally in response to recent crimes, including the shooting and injury of a Sikh man, Mr. Deep Rai, in Kent. Several community leaders are expecting to attend the event including: Kent City Council members Dana Ralph and Dennis Higgins, Kent Police Chief Ken Thomas, Kent School Board members Russ Hanscom and Karen DeBruler, Auburn Mayor Nancy Backus, Des Moines City Councilman Dave Kaplan, Federal Way School Board member Claire Wilson, Tukwila School Board member Mary Fertakis, Pastor Jane Prestbye of Kent Lutheran and Rev. Leslie Braxton of New Beginnings Christian Fellowship.